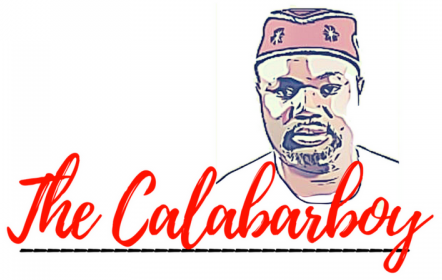 STEREOTYPING NIGERIANS | Thoughts of a Calabarboy. STEREOTYPING NIGERIANS – Thoughts of a Calabarboy. September 2008, I was sitting in class when I had to introduce myself to a number of colleagues who were taking the same course. When I mentioned that I was African, they pressed further to enquire where I was from Africa. I mentioned that I was from Nigeria, and one of the Black American who sat by me asked how I coped with the stereotype of ‘Internet Fraudsterdom’ that has being appended generally on Nigerians here in the US. I feigned ignorance just to give the impression that there were still people who still could not relate to the phenomenon. The next question was on how long I had lived in Nigeria, and when I replied “all my life”, I was bombarded with a series of inquiries that sounded like “so how many people do internet fraud back in Nigeria?” “It’s not written on anyone’s face and besides as a computer programmer myself I had to enlighten them that most of the software used to generate credit card numbers by the Nigerians are Russian creations. So there is international cooperation when it comes to this act of cyber larceny. However, I could not shove off the disgust that welled up within me. This is what we have done to ourselves and it is fair game when Nigeria is singled out as a country that harbours such people. What is not acceptable however is when people use the term “Nigerians” to associate with Internet scams. Of recent we have been subjected to humiliating depictions on movies and commercials to the point that it’s getting very touchy. While District 9 increased the intensity of the slap, the recent PS3 advert was just off point completely. Of what use was the line in the script? They could have accomplished their goal without imputing that scathing line. I didn’t see the advert until my South American friend pointed it out to me on Facebook. So it seems now what we are getting most popular for is scams, militancy, religious conflicts, and noisemaking. Though I can successfully point to a trace of these qualities in every nation of the earth, we apparently have a lot of work to do is laundering our global image as soon as possible. The one way we can do this is not by trying to counter every negative image put out there, but by presenting the true pictures of what Nigeria and Nigerians really represent. Nigeria has one of the most diverse human aggregations on the face of the earth, and that presents a fertile opportunity to show much colour we can add to the global fabric of culture. Everywhere we go, we add something special to our communities, and it’s time we rather begin to highlight the beauty we add to our world than to try fighting against people’s perception. But we can successfully divert attention to more productive value which the world also sees in us. In as much as we want to carry out a rebranding effort on a national scale, I am more of the opinion that each one should rebrand themselves first, wherever they find themselves. Do something as an individual to change perceptions about Nigeria. Someone told me last month that when he looks at my life, he doesn’t believe anything people say about Nigerians and Nigeria. Friends, I have won a soul…ha ha ha… So I urge you as a Nigerian, in any circumstance to change minds about who a Nigerian is. Let’s reduce this issue to that of a personal responsibility. In a short while, no one will be able to concile the phenomena of Nigeria and fraud. Having lived and traveled in Africa for the past 10 years, I have been asked which African country I like most. My reply (depending on which African friend is asking me) would be I lovvveee Kenya/ South Africa/ Ghana/ Uganda/…(depending on which African friend is asking me….one must be diplomatic), but I always add “I love Nigerians most”. You are indeed a very colorful vibrant people, and I feel vibrant just being with you people. So full of life, intelligence, imagination and energy. One have to look for the good in a people not just go on popular ideas. God created Nigerians for a purpose. I am hurt Aunty Jennifer, you are subtly telling us you don’t like Nigeria, but like Nigerians…..lol. Well, I bet you that you certainly want to come again. Next time you are in Nigeria, I will invite you to Calabar, where God lives in Nigeria. Perhaps you will start loving the country…lol. We miss you and want you back! I agree with you Sarah, I have taken that as my personal commitment.